On the 21st anniversary of the disappearance of Isle of Wight teenager, Damien Nettles, those who know vital information about his case are urged to come forward in order to give his family some closure. Twenty one years ago today (2 November 1996), Isle of Wight teenager, Damien Nettles, waved “bye bye Mum” to his mother before heading out to a friend’s party in East Cowes, never to return home. Valerie Nettles and her family have spent the following years searching for answers about Damien’s disappearance, or where his remains may be. They believe there are several people still living on the Isle of Wight who know what happened. Early frustrations with Hampshire Constabulary tracking the wrong person on CCTV, then stating Damien was 19 when he was 16, and also somehow losing vital CCTV, have resulted in complaints to the IPCC. Sadly with no satisfactory resolution. In fact, in recent weeks, Damien’s casebook has been removed from the Hampshire Constabulary Website without prior notice to the family. If having your child go missing and the police make mistakes along the way wasn’t enough to cope with, his family and friends have had to endure many spiteful and vicious rumours over the years about what happened to Damien. Despite this, they continue to have the strength to carry on and use their energy for many positive things. Valerie has been actively campaigning to introduce Damien’s Law to help other families who may find themselves in the same situation. Young men continue to go under the radar in missing person cases, so the campaign is calling for a number of changes to be made to the Association of Chief Police Officers (ACPO) Manual of Guidance. You can show your support by signing the petition. To help spread the word of the petition, please share on social media including the hashtags #Justice4Damien #DamienNettles. 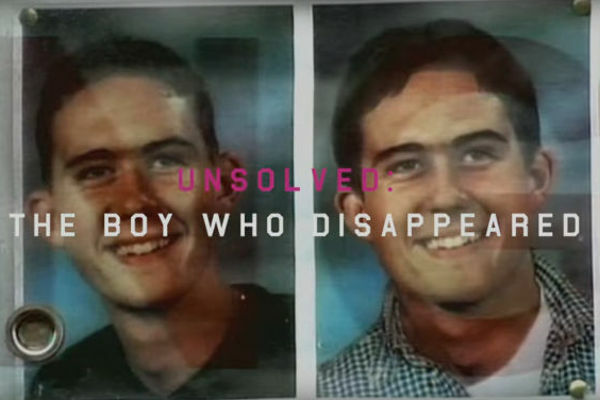 In 2016 the BBC released an eight part mini-series titled, Unsolved: The Boy Who Disappeared. BBC Journalists Alys Harte and Bronagh Munro ventured into the Isle of Wight’s dark underbelly, unearthing new evidence and sometimes conflicting accounts. All eight episodes can still be viewed on the BBC iPlayer. Someone Knows (a song for Damien) was written and recorded by Damien’s good friend Alex Roberts. All proceeds from the sale of the track go to the fantastic Missing People charity, who provide vital support to families of missing people. Search iTunes to purchase your copy today. If you have any information that could help, please phone Hampshire Constabulary on 101 quoting ‘Operation Ridgewood’. Alternatively, phone or text Missing People charity on 116 000 quoting ‘‪96-001159‬’. If you would prefer to remain anonymous, please phone Crimestoppers on ‪0800 555 111‬.